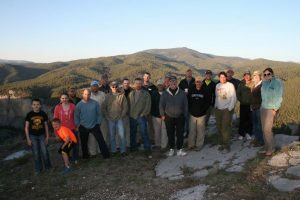 Over the past 14 years, it has been our pleasure to recruit folks, that feel the same way we do about our military service members, to assist us in taking wounded military service members on 5-day float trips down the Smith River and fly fishing with Healing Waters Lodge in southwest Montana. We, our friends and clients, competitors and local businesses contribute time, money, food, lodging, equipment, and even sky miles; also, skills such as cooking, guiding and rowing. Easily the best and most memorable 5 days you can experience is floating down the Smith River with a group of people who understand that fishing is always more than fishing. We have a wonderful relationship with Project Healing Waters Fly Fishing (PHWFF), a non-profit established in 2007, by retired Navy Captain Ed Nicholson. PHWFF dedicated to the physical and emotional rehabilitation of disabled active military service personnel and disabled veterans through fly fishing and associated activities including education and outings. Over the years we have been very successful in helping to raise donations for PHWFF, with some donations designated to assist with expenses associated with our PHWFF program Smith River float trips and Healing Waters Lodge stays. Please note that we do not profit from our program or association with PHWFF. At season’s end 2013, we bought Healing Waters Lodge in Twin Bridges, Montana. Named by the original lodge owners, Greg and Janet Lilly, back in 1997, the Lodge is independent of Project Healing Waters Fly Fishing. Owning Healing Waters Lodge allows us to expand our program from two disabled veteran Smith River float trips per year to include two one-week stays at Healing Waters Lodge, all expenses paid for the disabled service members and veterans. For more information, please call Mike Geary at 406-459-2030. Thank you!